Broadcast audio and logical functions. 4 solid state relais to drive on-air or other signal lamps, mating connector included. D25 connectors pinout compatible with D3. D-Bus in/out, connected with standard CAT5 cable. 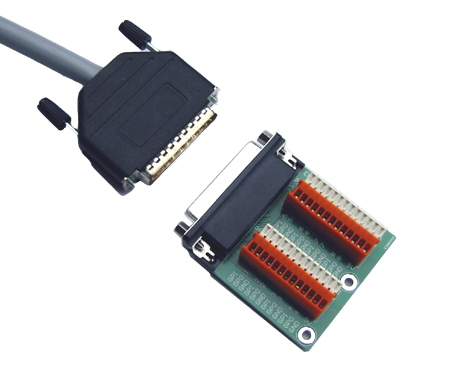 The GPIO's are wired to DB25 connectors. In order to make the connections easier a breakout pcb with spring-clamps is available. This comes with a 1:1 25-way cable of approx 1 meter length. 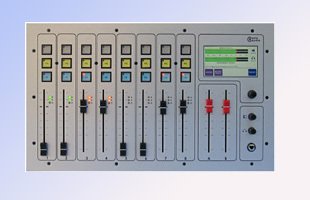 This GB34 can be used with D3 or D4 digital mixing desks as well as with the EA963 GPIO extendere. Eela Audio D3 manual and technical information. - Adjustable delay for up to 100 msec in both outputs to solve synchronization problems video. - Built-in signal generator for pink noise or a sine wave, adjustable in frequency and level. - A “signal present” LED per fader to indicate if there is a signal present at the input. For a description of these features Download the pdf here.